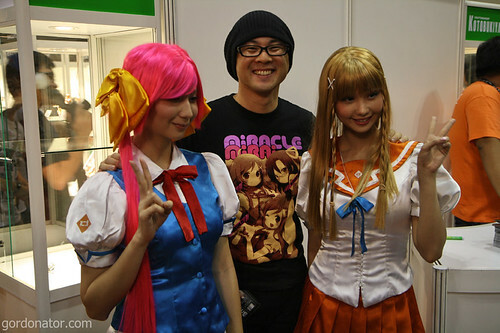 The Suenaga Sisters made an appearance at AFA 09. 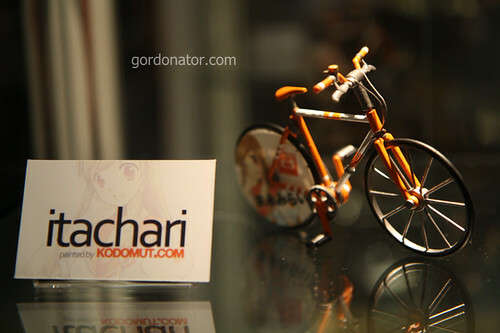 Above picture: Haruka (left), Kanata (center) and Mirai (right). 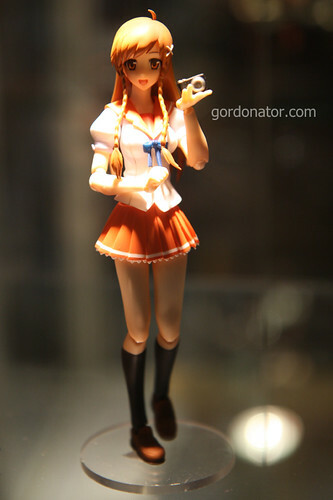 Mirai is cosplayed by the lovely Alodia from the Philippines. 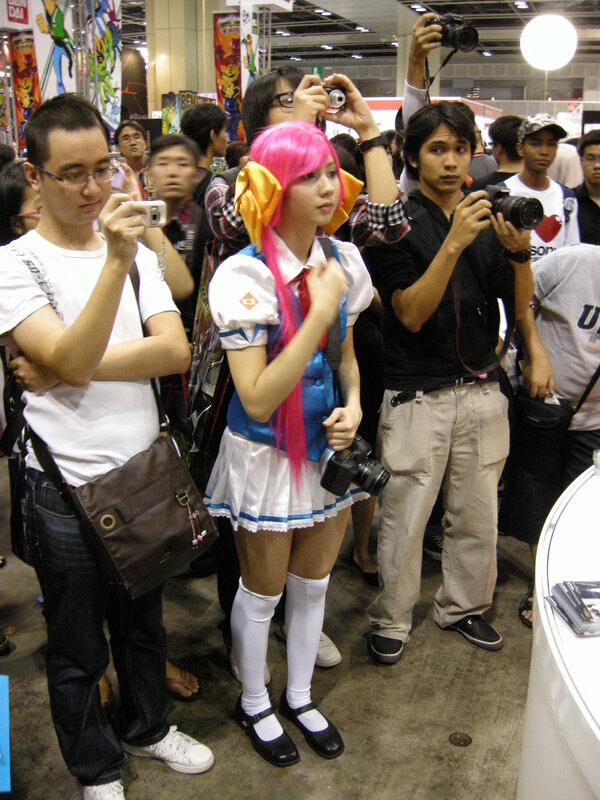 Haruka is cosplayed by Alodia’s imouto but sadly yours truly didn’t manage to get decent front shots of her as she came in later than Alodia and was doing the photographing. 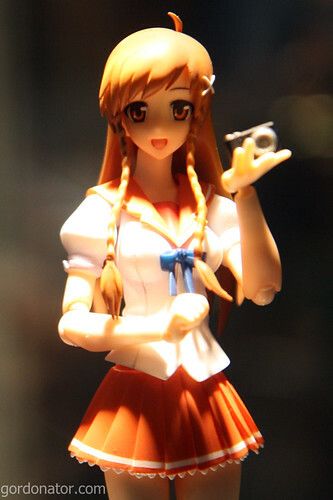 This entry was posted in Cosplay, Figures, Otaku. Bookmark the permalink. Where be Danny’s hands? I cannot see them. 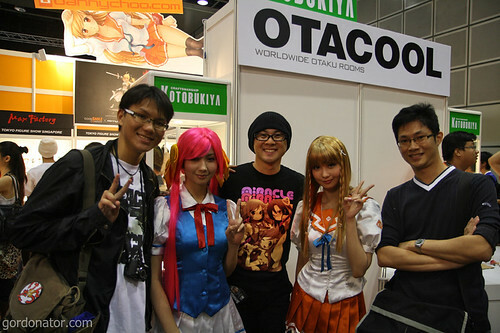 Alodia’s parents are even more awesome! they came down all the way to support Alodia and Ashley, and did set up for the tank! I think Gordon didn’t catch the Regional Cosplay Championship performance by her. i was there on day 2 but on the 3rd floor with the cosplayers. Mirai and Haruka!! Aww, I didnt get to see them, I missed the mornings. Pingback: ::USELESS THOUGHTS x PLAST!C REAL!TY:: » Blog Archive » Alodia + Ash + Danny(?) = Suenaga Sisters! 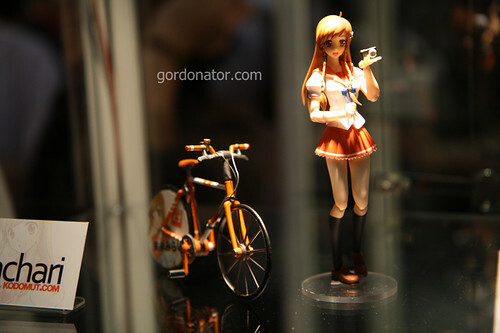 they are pretty :D. I went to AFA and the Figma Mirai looks good. i wonder will it be release as official product? yes it will be released soon. Danny is so gracious and funny in person! was it cold in suntec? wondering why danny had his beanie on. ^^. Was a good idea to cosplay Suenaga sisters by Alodia and her sister. Both did a great cosplay! Was that on D1 or D2? Almost went down on day 2 but kind of ran out of gas after filming. Almost went down with the props but just did not want to change. And most likely, would be arrested by cops before reaching the site.